Due to impending inclement weather this weekend, the Denton County Transportation Authority (DCTA) has canceled its “Rails to Trails” event that was scheduled for Saturday, April 13, from 9 a.m. to noon to get residents out and moving on its A-train Rail Trail to kick off the spring season. DCTA is working with the city of Denton, Lake Dallas, Corinth, Highland Village and Lewisville, to reschedule for Saturday, June 1, in celebration of National Trails Day – a nationally-coordinated event designed to unite all muscle-powered trail activities with the goal of connecting more people to trails. 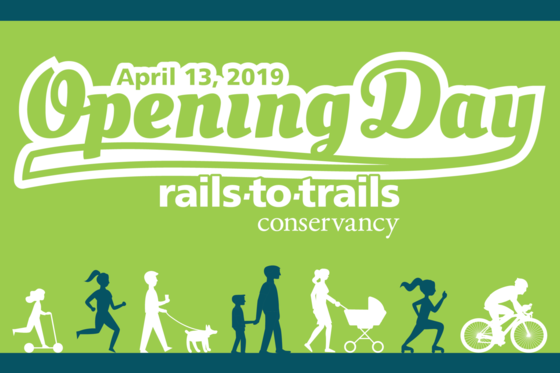 Many of the planned “Rails to Trails” event activities will take place at the newly-scheduled event, so people will still get the chance to connect with others in their community to walk, bike, run or just spend time enjoying the beautiful scenery DCTA’s A-train Rail Trail has to offer. Once final details are nailed down for the rescheduled event, DCTA and partnering cities will send out updated information.